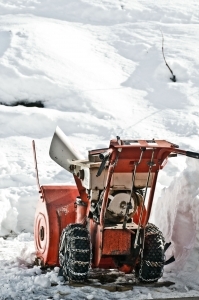 Are You Using a Recalled Snow Blower with a Tire Defect? A snow thrower is an important item to have when winter comes, but it probably isn’t something that you think about for most of the rest of the year. As such, it is possible you may have missed a recall announcement in October of 2006 for MTD snow throwers that was prompted by defective wheels on the blowers. In fact, each year there are still people who are injured by one of these snow throwers because they are not aware that their product was covered by the recall. Our Boston defective product attorneys want to make sure everyone is aware of the dangers of these older models of MTD snow blowers. There were more than 130,000 snow blowers sold with the defective and dangerous tires and it is important to check your model number and brand information on the website of the Consumer Products Safety Commission. MTD and the U.S. Consumer Product Safety Commission cooperated in a joint recall effort in 2006 in order to get the word out about MTD’s dangerous snow blowers. Multiple brands were affected including Troy-Bilt, Craftsman and Yard Machines and the snow throwers were sold at Kmart and Sears Stores from July of 2004 through March of 2006. The recall was necessary as a result of many injury reports. The snow blower had defective wheel rims. These wheel rims were made of a plastic composite material that had the potential to explode. When the tires on the snow thrower were over-inflated, this could prompt the wheel rims to burst, which could in turn cause cuts or other injury. Hundreds of injuries occurred in 2006 because of the defect in the tire and wheel rim of the snow blower, but unfortunately the problem did not end there. As with many product recalls, not everyone hears about the dangers. Those who purchased the snow blowers but who were not notified about the recall may still be using the defective blowers today. In fact, there are still consumers even this winter who may be injured if the wheel rim explodes when they are using the snow thrower. The problem with the MTD snow throwers was caused by the tire defect and wheel rim issue. As such, the company that designed and created the defective tire and wheel rims is responsible for any injuries that occur as a result of the problem with the product. Those who own the snow throwers but who did not hear of the recall may still be able to recover compensation from MTD Products, Inc. if they suffer injuries. As such, if you are hurt due to an MTD snow thrower this year as you do your winter clean up, you should consult with a legal professional. If you or a loved one has been injured in an accident in the Greater Boston area, contact the personal injury attorneys at the Law Offices of Jeffrey S. Glassman, LLC for a free consultation. Call 1-877-617-5333.